After picking up Dougal in Jacksonville, Florida at the end of September 2013, we belted it across the States to start our journey in the North-West of Mexico in the border town of Tecate (also the name of the countries national beer). From there we went through Mexico to the East coast, down into Belize, across to Guatemala, then into Honduras, continuing to Nicaragua and Costa Rica, then finally arriving in Panama, before hopping through the San Blas islands to South America. The beaches have been unbelievable and better than the Indian Ocean and Caribbean islands we have been too. Plus you often get them all to yourself with no big hotel behind you. The wildlife, particularly in Costa Rica. Can’t get enough of those turtles and monkeys. The generousity and help of strangers. The Mayan ruins. We have so many we like, but Mexico seems to win hands down for diversity. Read each country separately for our favourites and reviews. NB You’ll find the ruins in Mexico, Belize, Guatemala and Honduras. The food – Mexico champions over them all. The diving – it’s been really different everywhere we have been too. 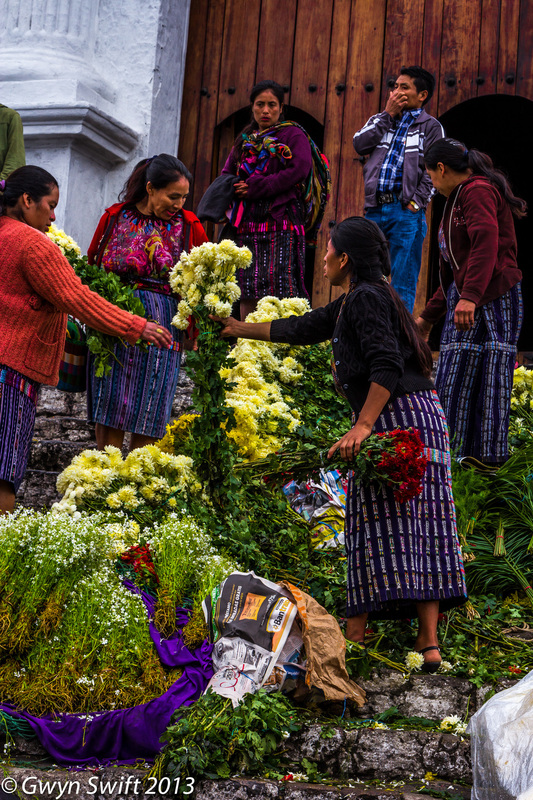 The festivals, especially Day of the Dead in Oxana, Mexico. The climate – we went at a perfect time of the year and missed all the rainstorms and unbearable heat. The colonial towns, especially in Mexico and Antigua, Guatemala. The many many many beautiful hot springs. The islands off the mainland in each country, especially San Blas (Panama) and Little Corn (Nicaragua). The surfing – world class. The coffee – be sure to taste Geisha coffee (the most expensive in the world) in Boquete, Panama. How cheap Central America on the whole was, considering what we did. Gwyn being detained in a Mexican prison. Getting attacked by 3 youths with knives in Nicaragua. Being stuck for a week in Guatemala City because the gearbox went again…and ultimately having to miss El Salvador all together. How much strain the whole trip put on our relationship and the arguments we had because of the stress. Having to pay gringo prices. The cities – most were dirty and polluted, chaotic and noisy, corrupt and dangerous, definitely not pretty or had any culture. Central America is all about time spent outside of the cities. The checkpoints – some countries were a lot worse than others. Being ripped-off by mechanics, who were often the problem, not the solution. The constant problems with Dougal and especially the unpredicted costs associated with him. The corrupt officials – again some countries were worse than others, with Mexico rating high on being subjected to potential bribes. We never actually paid one through the whole of Central America though, unlike the rest of the travellers we met. The poverty and unhygienic conditions that some people live in. This was very evident in Guatemala City. The stray animals and treatment of working horses. We have never seen so many starving dogs on the streets in a section of the world before. The speed bumps (aka topes), especially in Mexico. The unpredictable condition of the roads. The mosquitos – these are more prevalent along Mexico’s’ coasts and in Belize. Maybe we built up immunity from them after that?! The vulgar and crude men if I was ever without Gwyn. The humidity, especially in Panama. You can read all about our adventures through this diverse and beautiful part of the world through our blog, see our pictures and watch our videos in each of the individual countries. With each country, there’s also an overview and our highlights and lowlights on the first page. For a general overview of Central America in relation to the food and drink, people, language, dangers and annoyances, and our finale budget on the whole section of this trip, then please navigate above or at the bottom of this page. We would like to thank everyone for their support on here; family and friends back home who been nothing short of amazing with advice; all the mechanics that have helped us along the way (the ones that didn't rip us off or messed the car up even more); the friends from all over the world we have met (lots of good times), the locals who have showed more kindness then I have ever experienced from strangers, and to Gwyn (my partner in crime) who has driven 12,500 miles (and not complained), has had some serious bad luck (and got through it) and had to deal with me (although he'd probably still be in that prison now if I didn't talk a lot of s**t and was so annoyingly persistent). So if you haven't already, jump on the bandwagon, be inspired and add The Overlanders page on Facebook and follow us on Twitter , as we tackle South America. For us, Mexico provided the most grief, but we equally had some of best times in Mexico, especially in the east. Mexico is quite a difficult country to over land independently, given the conditions of the roads, the horrendous driving from other drivers, the potential for bribes and the checkpoints. I can understand the appeal of organised tours here, which is rare for me to say. However, I do think the west and north are better seen by having your own vehicle. Belize, instantly felt a world away from Mexico as soon as we entered the country. We definitely think we won out going to a lot more places than those without a car. Some places were also only accessible by a pricey tour or your own vehicle. Due to this, we often found we had places all to ourselves. Unfortunately, we heard on the grapevine that renting a car here isn't cheap (like the rest of the country), so you'd have to way up the cost of hiring versus a tour to see places like Cockscomb Basin and exploring the Mountain Pine Ridge Reserve. 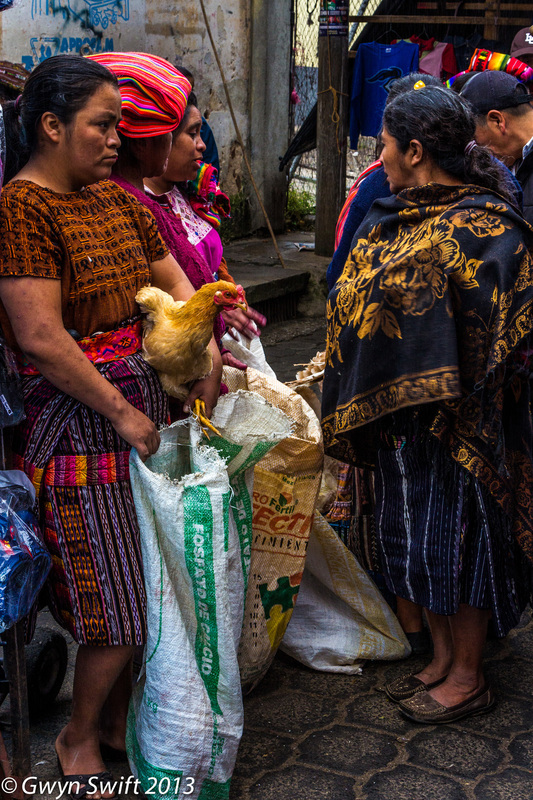 Guatemala is definitely a country, where going on chicken buses and collectivos wins out. They're cheap, regular, and cover plenty of places. Plus you don't run the risk of ruining your vehicle like we did on the Rio Dulce to Semuc Chempney road. Other than that road, we found the highways to be good though. Honduras seems to be best tackled with your own vehicle. We heard numerous reports from other travellers about the safety of buses (or rather lack thereof) and having to go through the ever unpopular city and most dangerous in the world, San Pedro Sula. We had a lot more flexibility than those without their own vehicle and again, we were able to go places the buses didn't frequently venture, if at all. Nicaragua has some of best roads and is easily accomplished by having a non-4WD vehicle. Again, we managed to fit in a lot more with having our own vehicle, but if you don't choose this option, there are plenty of buses leaving from major towns (you just won't fit as much into your itinerary as you would with having your vehicle). Costa Rica has surprisingly a raw deal on the road front and there are parts that a 4WD is needed eg the area around Corcovado and further down the peninsular. Like Belize, this isn't a cheap country to travel, so way up the need for a hire car, if you don't have your own vehicle already. Buses took double the duration it took us to get anywhere and you are stuck to their schedule (often very early in the morning). If you are just here for a holiday and don't fancy the stress of some of the roads if you are going to the above places, then you might want to consider a tour out of ease. Panama is easily tackled by buses, which are cheap and tend to have a regular schedule. Every place we went to has good transportation links, so your own vehicle isn't necessary. It's also more of a hindrance driving a car around Panama City, which is nothing short of chaos during the many rush hours throughout the day. Overall, we think we got miles (literally) more out of these countries having our own car as opposed to public transportation. We managed to fit in a lot more and it was safe to travel around, even at night, despite the stories we had heard. Wal-Marts have now invaded most central American countries and it's fairly easy to get anything you want from them, but they tend to found in cities, as opposed to be dotted about the place in each country. Your next option for buying food is the family-run supermarkets, which have basics, but don't expect to make any culinary masterpieces from their limited supplied. Markets are common, selling fresh fruit, vegetables and meats. We found bananas weren't particularly great, as the best ones tend to go to westernised countries. Ironic eh?! Street food is cheap, tasty and everywhere. There's a complete range of quality throughout Central America, from greasy chicken and fries in Guatemala to kebabs skewers in Nicaragua, but the real winners are the Mexican dishes. As a general rule throughout Central America, only drink from sealed bottles. The tap water can be hit or miss and it's not worth the risk, when bottled water is so cheap anyway. Also, be more inclined to go for fruit you can peel. Just remember the traveler's mantra: wash it, peel it, cook it OR forget it. Mexican food is now on the international cuisine map. As it's popular throughout the world, you'll find many foods you'll be familiar with, such as nachos, guacamole, enchiladas, fajitas, tamale, quesadillas, tacos, tostadas, sopes, chilaquiles. Ceviche (chopped raw fish with onions, tomatoes marinated in lime juice), served with tortilla chips is very common, and is delicious. You'll be recreating this dish when you get back home. Like you'd expect with a big country, you'll find many areas and towns have their specialities. In Guadalajara, for example there's the famous tortas ahogada (literally drowned sandwich), which is a blisteringly spicy chilli-soaked pork sandwich. Try them - we never had anything we didn't like and wouldn't have again. Beware of asking for it ‘bien ahogada’; spicy is an understatement. We also liked Mexico City's carnitas (braised pork). Mole is huge in Oxana, and although we'd say try anything once like the chocolate mole, we did not like it at all. The food isn't particularly healthy and you'll notice the dumpy look of most women and the obese statistics raking up to those of Americans, but you're on holiday, it's time to ditch the diet and enjoy it. We loved the food in Mexico. Although the portions may be big and cheese layered on everything, the food was surprisingly fresh, simple and locally grown (not like it's northern neighbour). As a side note, the food in Mexico isn't all spicy. Chillies are used as a flavouring ingredient and to provide intensity in sauces. As a general rule, we found, if it's incorporated in the dish, it doesn't blow your head of (this is coming from a non-spicy fan), but if it's side salsa or relish, I'd test it out first before dunking your nacho in there. The Yucatan habanero chili is the spiciest pepper in the world. Dare to try? We actually completely forgot to do this challenge, but we heard that chile de argol used in the tortas ahogada (above) that we did try is on similar par. I actually couldn't speak for 5 minutes! Sugary drinks are high on the drink menu, along with the international carbonated favourites. You'll also find a variety of fresh fruit juices all over the country and iced tea type drinks. Quite nice. However, alcohol rains supreme here. Ticate is one of our favourite beers in this part of the world, probably because it was a relief each time we got a cold one in the intense Baja heat. Others you would've heard of include Corona, Modelo and Pacifico. Drinking tequila in Mexico is an unwritten law and if you actually go to Tequila town itself you'll be surprised how it's not just the cheap nasty crap you shot up in bars at home. Enjoy ;-). Mezcal is tequila's brother, but the difference is, it doesn't have to come from the blue agave plant or from the tequila producing areas of Jalisco. Cocktails are popular in Mexico and come strong, with, you guessed it, mostly being tequila based. Margarita anyone? Mexican food was cheap, definitely cheerful and there was loads of it everywhere. Of course, street food was incredibly reasonable on the price front, but the restaurants were hardly on the expensive side also. If you're heading to the Baja or eastern coast, then expect to pay tourist prices ie the American equivalent. Given its Garifuna and Caribbean influence, breakfast in Belize typically includes fresh fruit, eggs, cheese (it's not great, so don't expect much), tortillas and refried beans. You'll also come across Fry Jacks (deep fried dough balls) and Johnny Cakes (biscuits) served with butter and/or jam. They're nothing to write home about, but they fill a hole. Given how multi-cultural Belize is, Belizean meals range from typical barbecued chicken with rice, beans and coleslaw (very common on the coast and the islands), to Chinese dishes (found in mainland towns from the influx of Chinese immigrants). There is also a wide range of fish dishes. This was the first time we had conch. We didn't really like it, but the snapper or shrimp cooked in coconut broth (Hudut/Hodot) is to die for. You'll also find stew chicken dishes again, with the typical rice and beans; ceviche; and garnaches (fried tortilla coated in refried beans, cheese, cabbage and carrots). A personal favourite was these little pasties things called Pastelitos de Carne (pastry filled with some type of curried meat). They are very cheap, but only good for a snack. You can pick up westernised snacks like Pringles and European chocolate bars too (with the expected import price tag). Belizeans love their fruit juices and carbonated drinks. For something different, try Seaweeds, which is uniquely Belizean, made with seaweed (of course), milk, nutmeg, cinnamon and vanilla. Belkin is the beer of choice in Belize (you can even visit the brewery if you pre-arrange), and given it's Caribbean influence, rum is the leading spirit. You'll find cocktails (mostly rum based) are popular in the islands and main town restaurants. Belize is definitely the most expensive country in Central America to eat either out or even going to the supermarkets, so budget on paying westernised prices or more. Street food can be fairly cheap, but it didn't really fill us up. Guatemala dishes tend to consist of eggs, tortillas, beans and rice, and plantains, and have a strong Mexican influence with nachos, enchiladas, guacamole and ceviche being common. You'll also see meat stews (caldos) and soups (soaps) on restaurant menus. Street food was a little disappointing for us here, as it was mainly just the option of having greasy chicken and fries. Guatemala has a wide range of international cuisine and I'd go as far as to say they can pull of other countries famous dishes better than the finding country could themselves eg the many Mexican eateries around Guatemala and Thai food in Livingston was the best I have ever had. In Guatemala, popular drinks include limonada con soda (freshly squeezed lemonade with soda water) and Licuados (fruit shakes), which are cheap and delicious. Licuados can be made with water (agua) or milk (leche). The latter tasted better to us. It goes without saying that you must try the international reknown Guatemalan coffee. If you weren't a coffee drinker before you come here, you could be by the time you leave. The national beer in Guatemala is Gallo, but you can also get Dorado, Sol and Victoria. Guaro liquor is also a local favourite. Given the influx of American and Canadian expats living in Honduras, the food is quite similar to what you'd find in the States. Franchise companies and American restaurant chains are big in the cities. The three burgers we had here were possibly the best we have ever had anywhere though, so enjoy a taste of home. Again, like it's neighbouring countries, breakfast will consist of Central American favourites: scrambled eggs, beans and tortillas. Personally, I'm not a fan, but Gwyn loved it. Other meals will traditionally consist of rice, beans, tortillas and some kind of grilled meat. Expect an abundance of seafood restaurants along the coast and my favourite little snack Pastelitos de Carne (also found in Belize). Mexican restaurants are quite common, with Ceviche and Burritos being popular dishes amongst both Hondurans and tourists. We loved tostones (plantains fritos), which are deep-fried plantains, and come as part of a side package of many dishes. You'll find the usual carbonated drink brands and sugary juices. Honduras coffee is also lovely (we preferred it more than Guatemala), with many coffee growers being local (essentially somone's garden), rather than on a big scale. The beers of choice in Honduras are Salva Vida, Port Royal, Barena and Imperial. Guaro is a sugar cane liquor and if you like you sweet alcohol drinks, this is for you. Definitely try Guifiti, a powerful Garifuna liquor. It's a mysterious concoction; the ingredients of which varies from brewer to brewer, but it will contain some herbs and spices in it. You can't pick any up from supermarkets, maybe because some of the ingredients aren't technically legal, but we found it quite common in bars along the coast. It's times like this when the rules are made to be broken. As you'd expect it's a lot cheaper to eat the staple Central American food than those westernised food fix meals you'll pay for. We also spent a lot more money on food on the Bay Islands, where almost everything is shipped in. Nicaragua's food is represented by its residents - it's diverse. For us, it epitomises Central American cuisine, compromising of Spanish, Creole, indigenous and Garifuna dishes. You have your typical eggs, cheese, tortillas and gallo pinto (rice and beans) for breakfast, washed down with orange juice or coffee. Main dishes consist again of your usual Central American staples: corn, beans, sweet or tostones plantains (deep-fried), meat or seafood and a cabbage salad. You'll also find some stew-like dishes, tamales (corn flour stuffed with meat) and chicharrones (deep-fried salty pork skin). They're very cheap, so go for it and see if it takes your fancy. Tropical fruits mixed with water (like a fruit juice), milk (like a milkshake) and yogurt (like a smoothie) are common on streets to buy. For some ice-cold cervezas, go for local brews such as Tona or La Victoria. You can find international brands in most places. If you like your alcohol, don't leave Nicaragua without drinking sweet El Macua (rum, guava and lemon juice). It was recently voted the official beverage. Nicaragua food is cheap and cheerful (two words we love to hear). You can get some tasty and inexpensive street treats and full on meals, especially in big towns and cities like Leon, Granada and San Juan del Sur. It goes without saying, but budget on paying at least double for food on the Corn Islands, although in our opinion it's definitely worth the splurge. We had amazing meals there. A typical Costa Rican breakfast consists of gallo pinto (rice and beans), cooked plantains, tortillas or toast and usually scrambled egg. A traditional dish is called casado and consists of gallo pinto, fried plantains, a chunk of cheese, salad and meat (usually chicken, beef or fish). Continuing to be a favourite is Ceviche (see above). We packed in the refrescos (fruit smoothies made with water (agua) or milk (leche), which was the next best thing to getting our milkshake fix. Agua dulce (water sweetened with sugar cane) is still popular as ever, but I personally didn't really warm to it. Coffee is still a national favourite, but not as well known as it's neighbouring countries.For beer (cerveza), the national beer of Costa Rica is Imperial, but you'll also find Pilsen and Bavaria. In comparison to other Central American countries, Costa Rica is pricier with most basic dishes ranging from $5usd to $10usd. If you dine locally it's a fraction of the cost and Costa Rica's native cuisine may be simple, but it's tasty and inexpensive. Breakfast in Panama tends to be the deep-fried variety including the eggs, meat and tortillas, but continental breakfast favourites are easy to come by. Panama still has the Central America classics, like plantains, ceviche and gallo pinto, but it excels on seafood. I've never come across lobster so cheap in my life, caught right in front of me. The coffee in Panama was some of our favourites through Central America and you'll be missing out if you don't do a tour in Boquete. Whilst you're there, try the most expensive coffee in the world - Geisha coffee. We're converted coffee snobs now. Beer brands include Balboa, Atlas and Soberana. For something stronger, try Panama deco, a fermented sugar cane liquor. Although food here may not be as cheap as other Central American countries (as the US dollar is the national currency), the beer is. Even in a restaurant, it should cost around $1usd for a cold one. Not too shabby. Of course, to keep costs down, nibble at roadside stalls, but just make sure it's cooked in front of you. The food markets also offer a good variety of produce at backpacker prices. It has to be said, that we have met some genuinely lovely people on this trip, but equally the most corrupt people we have ever come across (which is saying something, given we've visited Russia!). We have been helped by many people, who ask for nothing in return and we have many strangers to thank for this. Mexico was our least favourite nation in relation to the people we met, as it was a constant battle of being ripped off and people expecting money from us. We didn't trust anyone. I know we shouldn't generalise, but 90% of people were like this, and anyone we met that had spent a long time in Mexico (at least a month) all said the same thing, even Mexicans themselves. However, we found Mexicans had the best sense of humour and were massively helpful when it came to mechanics. Rarely did we wait more than 5 minutes before someone came to offer us advice/help. Belize had the most laid back people and there was a complete mix of races and cultures. No longer was it just the Latin flavour; there were people from Caribbean (Garifuna culture), Messinites and Chinese/Indian immigrants. People were very vocal about their government, politics and issues the country has/had. We noticed a distinct change in the people and scenery as soon as we crossed the border from Mexico and to us, it was a welcome relief. We felt at home here. That's probably due to the English-speaking residents, European products and better conditions of the roads though. Once we hit Guatemala, things changed again. 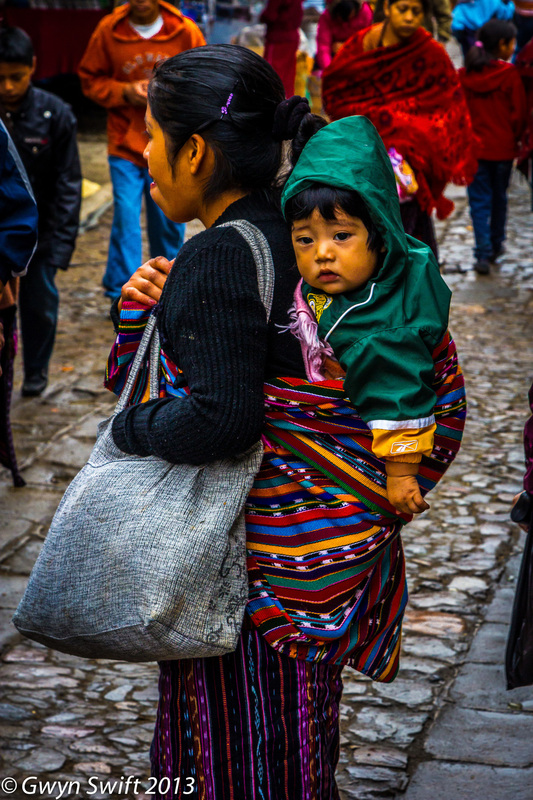 The north of Guatemala felt like Mexico and the residents looked Mexican too. Further south you go, things change, and we found Guatemalans in general to be very humble people and by far the hardest workers in Central America. If you think Colombian women are attractive, then you want to visit Guatemala. I was in awe of their natural beauty and their indigenous clothes that accentuated their small waists and petite frames. Gwyn didn't trade me in though. Phew. Honduras and Nicaragua was home to the most warm and helpful people. Honduras has the most dangerous city in the world, which we by-passed, so I know that inside the cities it's a world away from the Honduras that we saw. Likewise, Granada in Nicaragua is the place we got attacked by knives. Don't let this deter you though - I really liked many of the Nicaraguans we met. Costa Rica has by far the friendliest and chattiest locals. They were immensely polite individuals and to us, they were our favourite people collectively throughout Central America. Costa Rica also has a large ex-pat community, which although may not appeal to some people, they have adapted to the way of life out here and they've undoubtedly made this country what it is today (in our opinion). Panama like Belize has a large variety of races, religions and indigenous groups, which provides an interesting mix, but we felt we never knew the people here and couldn't generalise them at all. Even though everyone told us we'd struggle without learning Spanish before we went, we found the basic guide book Spanish covered most situations eg markets and haggling, asking for directions, and manners and pleasantries. We did speak to people who were backpacking it around and given the nature of the way they were travelling, having to speak to more locals, get transportation, stay in hostels, etc, they definitely had to speak Spanish more. English was often spoken in the tourist areas, especially along coastal destinations. Even people with broken English, wanted to practice their English, even if we spoke in Spanish to them. The people who spoke the least English were often police officers or guards. This worked to our advantage, as we'd often play the foreign 'don't understand' card and they'd give up trying to get bribes out of us. Mexico was the hardest country to travel in, as they had the most people who couldn't speak a word of English, but it was also our first country to visit, so we hadn't picked enough of it up at this point. Playing charades and adding 'O's' on the end of words helped a little. The common guidebook phrases and Spanish mechanics massively helped though. Besides Belize (predominately English speaking country), Spanish is the official first language of the other Central America countries. Costa Rica also has a heavily English speaking culture though. We didn't come across anyone who didn't at least have a basic grasp of English there. Creole is also spoken along coastal areas, and there's indigenous languages spoken, especially in Guatemala, but they tend to also understand Spanish. The language barrier wasn't as hard as we thought, but in hindsight, we would've liked to have done lessons somewhere on our route, so we would've been better prepared for South America and interacted with the locals a lot more. This probably would've been in Guatemala, as it's so cheap and common there. By the end of 4 months in Central America, we had enough Spanish to get by and understood a lot of what was being said, but we definitely could've been better than we were. As far as advice goes, at least learn the guide book Spanish before coming out and if possible, consider taking lessons either before, or during your trip in Central America. It can only be a good thing. There's no denying that you have to be more safety conscious travelling around Central America, as opposed to westernised first world countries. For the most part, the only real danger and annoyances will be getting gringo-taxed on products/services. These countries, apart from Costa Rica, have a real problem with disposing of waste; you'll often see trash burning at the side of houses or piles of it thrown along roads. Unfortunately, this problem also extends to several of the tropical Caribbean islands. For over landers in their own vehicle, the manic and reckless driving of locals can be a scary prospect. We found the worst drivers to be in Mexico and coincidently the roads (in particular in the north and west) were dangerous in themselves, with potholes and topes (speed bumps), narrow roads, wandering animals and children running around (as we found out the hard way). We found the majority of drivers were rude, inconsiderate, keeping their full beams on at night and driving extremely fast for the conditions. Even though we did do half the driving in the evening and night, we would recommend to try and avoid doing this. It's not worth it, as you'll see by the constant reminders in the death memorials scattered along the roads. The police did try to bribe us a lot throughout Central America, but surprisingly we never actually paid one bribe. Everyone we met travelling in his or her own vehicle had paid at least one bribe. We just managed to swindle out of it. Again, we found Mexico to be the worst for this. The police are often the problem, not the solution. We found that playing the 'I don't understand' card worked in our favour, and they would give up asking eventually. Do NOT give your actual driving licence or documents to the police as they'll use this as a mechanism for bribing. Take lots of photocopies. In relation to other dangers, apart from a phone (which was my fault as I left it on the side of the car whilst we were fixing it), we never got anything robbed from us. However, we did meet many people who had had things stolen. There seemed to be a common theme though - they were often alone at night or drinking or in an unlit notoriously unsafe area. Don't carry your full wallet around with you if it isn't needed. Someone did attempt to rob us at knife point in Granada, Nicaragua, which was surprising given it was a nice city with a lot of ex-pats and tourists. Luckily, we didn't have anything on us, but as you'll see from the blog and pictures Gwyn got injured. Fortunately, it was nothing more serious than the marks on his back (albeit they looked awful), but it still massively shook us up. Please don't make the same mistake as us. Avoid malecons (water fronts) at night. Other annoyances included the vulgar behaviour of men towards women, which ranged from hand gestures to graphic language. Just ignore it, as it's really not worth the hassle. Finally, the Latin American people all have the same very irritating and often very loud car alarm. We knew the sequence after a week of being there. You'll know exactly what we are talking about as soon as you go. Just use your common sense and all should be good. Don't let the horror stories deter you from these countries. It's very embellished and most of the time we felt very safe. Central America Overland Budget. We spent 121 days travelling through Central America. Border crossing costs include insurance, temporary import costs, any entry/exit costs. The Van maintenance was mainly due to having to buy a new gearbox in Guatemala. Food equates to grocery shopping, where eating out. This budget, although it seems ok we felt was a bit tight. Our way of travelling is that we like to splurge on activities and do as many new experiences as possible regardless of cost.